We love to photograph the party! When the formal part of the reception is over - the speeches, the toasts, the first dance, and the parent dances, it's often the time when everyone really lets loose & celebrates! 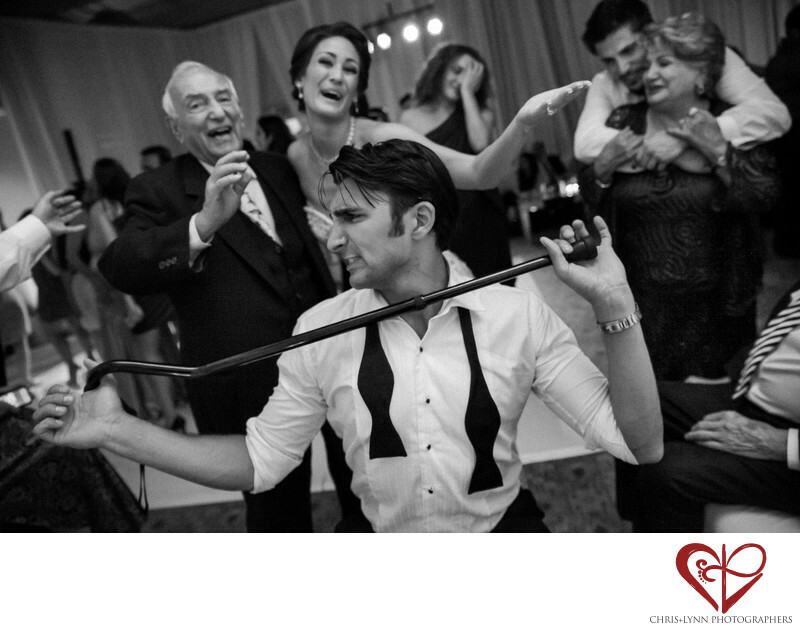 We love to capture the energy when everyone is dancing and having fun. One of us will get right on the dance floor with everyone to shoot up-close and personal! The dance floor is usually crowded with not a lot of room so we will use a wide angle lens like the 24-70mm or 16-35mm so we can get closer to the action. A wider lens also allowed us to incorporate all the different people in this image. I love the groom's uninhibited dance move, the laughing grandpa behind him, and the bear hug one of the groomsmen is giving his aunt - so much action! The party-goer in the far background holding her head also adds another funny element to this wedding reception photo. Pelican Hill is perched on the coastline just south of Newport Beach. The Resort is a 15-minute drive from Orange County’s John Wayne Airport and a 45-minute drive from Los Angeles International Airport. 1/100; f/2.8; ISO 3200; 24.0 mm.